By: Erik Hyrkas on January 10, 2014. 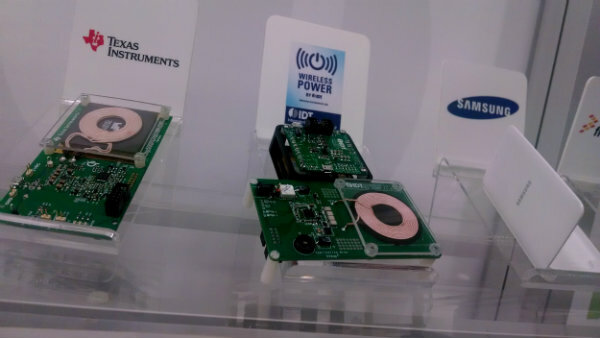 200 manufacturers have signed up for Qi, the Wireless Power Consortium started in 2008 by Texas Instruments, Philips, Samsung, Sanyo and Olympus. The cause for a wireless charging standard is a noble one (especially if you’ve ever busted your charging cable), and it’s starting to power blenders and smartphones alike. But yes, mostly smartphones. And there’s plenty of them to join the market. Nokia, Samsung, HTC…if you can name it, they’re on board. 60 new phones in 2014 will be supporting the technology, and we can only imagine it will be the staple of device charging to come. 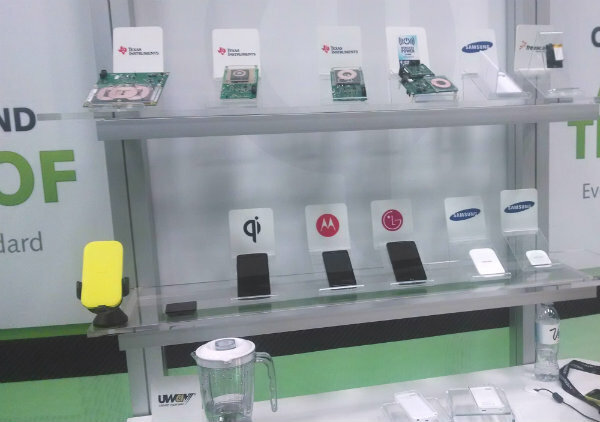 At CES 2014, we had a look around the booth and many of Nokia’s new models and notably the Google Nexus 5 will have the Qi wireless charging standard tech in their backing. The tech behind the power mat charging is electromagnetic induction, which allows power to transfer between coils separated by non-interfering materials like the plastic polycarbonate in your smartphone backing. Nokia was one of the first smartphone manufacturers to utilize it in their Lumia models and the rest have been jumping on board since. Details on how manufacturers and carriers will package wireless charging remains to be seen, but it’s looking like the power mat accessories will have to be purchased by consumers. Currently you can buy some of these yourself on Qi’s online store for reasonable prices across all manufacturers. As for Apple? A slim, wireless charging case and compatible power mat can be purchased from Qi, but the iPhone giant hasn’t jumped on board itself. Surprised? Didn’t think so.